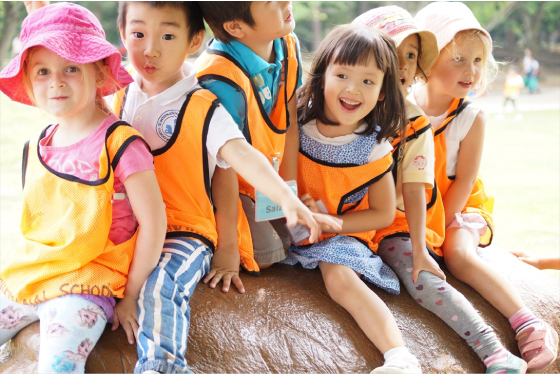 Preschool Introduction:ai INTERNATIONAL SCHOOL|Tokyo Apartments - Master's Corporation Ltd.
Masters Corporation operates one of Tokyo’s longest running pre-school and kindergarten, ai INTERNATIONAL SCHOOL. Our school is home to dedicated child education specialists from seven nations and students aged two to six from all over the world. Its classes feature an ideal teacher-to-student ratio. Ai INTERNATIONAL offers a variety of English programs and curriculums to accommodate each student’s skills and needs, and of course, his parents’ time and budget. Reflecting our students’ and teachers’ nationalities, our classes are truly multi-cultural. Our aim is not only to prepare each young child for his global future, but also to instill "old school" discipline, public manners, cooking, and handwork skills to make sure the child will not become too digitally dependent. Taking advantage of everything Tokyo and its surroundings offer, ai INTERNATIONAL's calendar is booked throughout the year with outings to museums, zoos, botanical gardens, mountains, and waterfronts. We are proud of numbers of returning students and word-of-mouth visitors which reflect ai’s reputation. Why not talk to us and come for a tour?